I've been an arbitrator for quite a long time now and most times when I download 10 arbitration batches at a time the batches are sequential and no missing numbers. 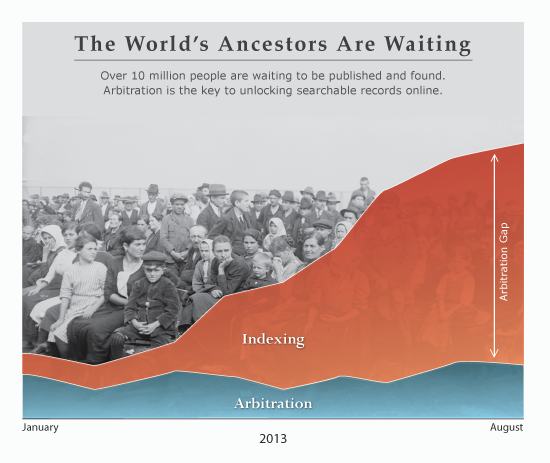 It's rare to hear of indexers who get a 100% batch that hasn't gone through an arbitrator. Yes we need to train more arbitrators but we need to make sure they're trained properly as well. If you'd like to become an arbitrator please check out our section on arbitration here http://www.lofsii.com and you don't have to log in to ask questions in our Share Batch / Questions area.